We are a family run, independently owned business with over 25 years of experience. Our industry-leading, energy efficient windows, doors, bi-fold doors and conservatories are unrivalled in Slough and Berkshire, with highly secure locking systems from Yale. Affordable Windows & Construction Ltd.
Posts tagged "Front Doors Burnham"
Deciding on a new front door for your Burnham property can often be a stressful and time-consuming experience. At AWC, we are committed to offering you the highest quality products at the most affordable prices. Front doors are recognisable for their levels of security, durability and thermal efficiency as well as beautiful aesthetics. We are soon sure to fit the perfect front door for your residence. 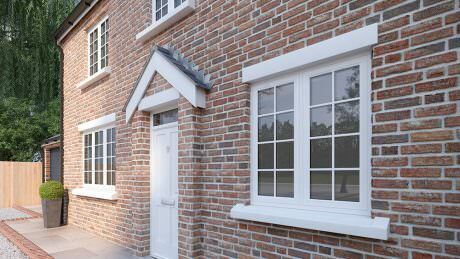 Our front doors offer only the most exceptional levels of thermal efficiency. 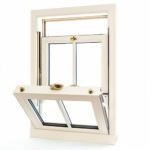 We use a multi-chambered Liniar profile for our uPVC door profiles, which means that warm air is trapped in the chambers of the frame, and ultimately keeps your home warm while preventing uncomfortable draughts. A thermally efficient home is guaranteed to save you money in the long run, because you will rely a lot less on your central heating system. Make noticeable savings on your energy bills almost immediately, as our Burnham front doors are an incredible money saving investment. The innovative double rebated design of our front doors means that they are excellent at keeping the elements outside where they belong. 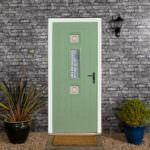 Let our ravishing range of front doors keep your Burnham home warm and dry all year around. 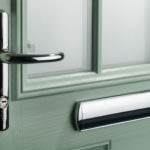 When in the market for a front door, one of the most important things to consider is the security of your double glazing. We use internally reinforced Liniar profiles to ensure that your doors are sturdy and do not require any additional steel reinforcements. This means that our front doors can stand up to even the strongest physical attacks from would-be intruders, and your home is kept safe and secure. We complete our doors by adding an extra level of security. We use top of the range Yale locking systems to ensure that your doors will provide excellent protection to your home. When it comes to home security systems, the name “Yale” is synonymous with quality. Our products have undergone and completed a series of meticulous crime prevention tests to achieve this certification. You should be confident that our Burnham front doors will keep your home almost entirely impervious to break ins. If want a front door that offers all the aesthetic qualities of timber, with all the performance and benefits of modern uPVC fittings, look no further than our range of composite doors. 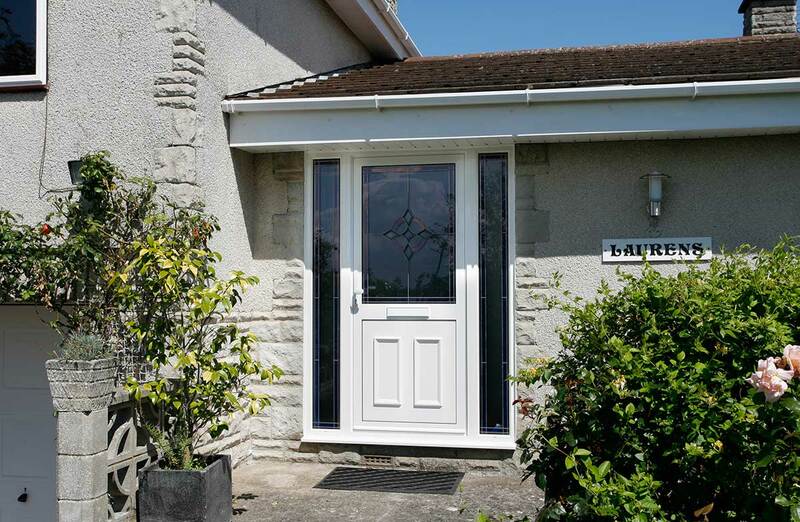 With a host of unbeatable features such as thermal efficiency, security and durability, these doors offer excellent performance across the board. The highly authentic looking wood grain texture means they are guaranteed to suit your home’s style. Over time, traditional timber front doors begin to age extremely poorly. They become draughtier and less secure, and will require replacement. These composite front doors in Burnham are also extremely low maintenance; while timber doors will need sanding, sealing, painting and varnishing to look their best, our composite doors simply need a quick wipe down occasionally to continue to look great and perform incredibly. If you would like to receive further information about our Burnham front door prices, please do not hesitate to get in contact with us. Our team are highly skilled and have a wealth of expertise in the double glazing industry. One of our staff will be with you as soon as possible to answer any questions you have, discuss any of our products and provide you with as much information as you need. On the other hand, if you would prefer a free and instant quote, please visit our online quoting engine. We will provide you with a competitively priced quote within two minutes, tailored entirely to your specifications. When you use our quoting engine, you are under no obligation to buy. For competitive double glazing prices in Slough and across Berkshire, use our online quoting engine! © 2019 All rights reserved Affordable Windows & Construction Ltd.